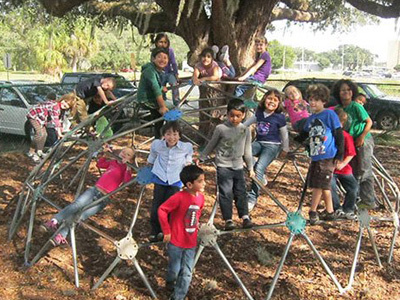 Educare provides parents with a flexible, safe and fun atmosphere to leave their children during the before and after school hours. Respect yourself. Take care of your body and personal belongings. Respect other people. Do not hurt or abuse people or their work. Respect the environment. Take care of the materials, our classroom and our school. A nutritious snack is provided each day. 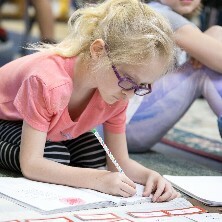 Throughout the year, extra-curricular activities may be offered in conjunction with Educare – Most of these programs are offered at an additional fee. Educare is more than just “after school care.” For 1 hour after school is over, they spend additional time in their classroom with their teacher so that they can continue learning and have fun. Enjoying learning is one of the hallmarks of retention, leading to smarter kids. The Educare Program is available for children age 2½ and older from 7:00-8:30 a.m. and from 2:30 p.m. until 6:00 p.m., Monday through Friday. 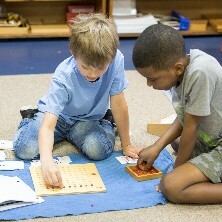 For your convenience, fees for Educare are assessed separately from your Montessori school tuition and are based on the hours the child attends. The charge is $5.00 an hour. The minimum charge within the first hour is $5.00 and chargers are assessed on an hourly basis. You may drop your child off at Educare as early as 7:00 a.m. There is no charge between 8:00 a.m. and when your child begins class. However, you will be charged at the regular Educare rate if your child arrives before 8:00 a.m. For example, a child dropped off at 8:05 a.m. will have no charge, while one dropped off at 7:55 a.m. will have a $5.00 charge. In the event that your child is not picked up from his Montessori class within ten minutes of class dismissal, he will be placed in Educare until you arrive. You will then be charged at the regular Educare rate. For example, a 2:45 dismissal time requires a child to be picked up by 2:55. If not, you will be charged a minimum of $5.00. The closing time for Educare is 6:00 p.m. If you pick up your child late, there will be an additional late fee of $8.00 for each 15 minute time period thereafter.